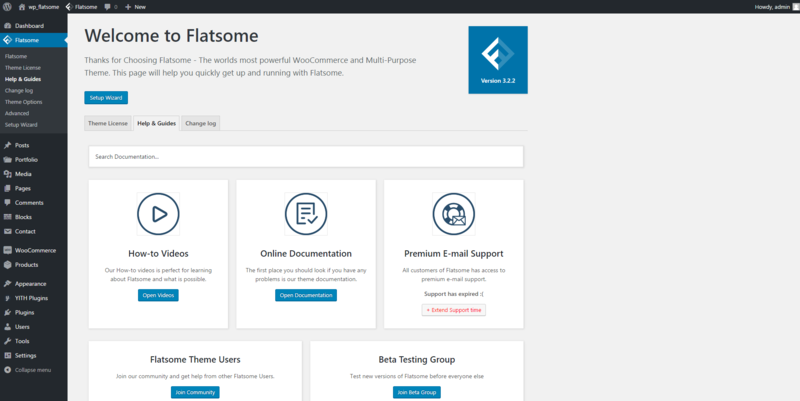 Flatsome is a beautiful WordPress template dedicated to the WooCommerce industry. Launched in September 2013 by UX-themes, an Envato power elite author, this eCommerce template is loaded with multiple product tools. 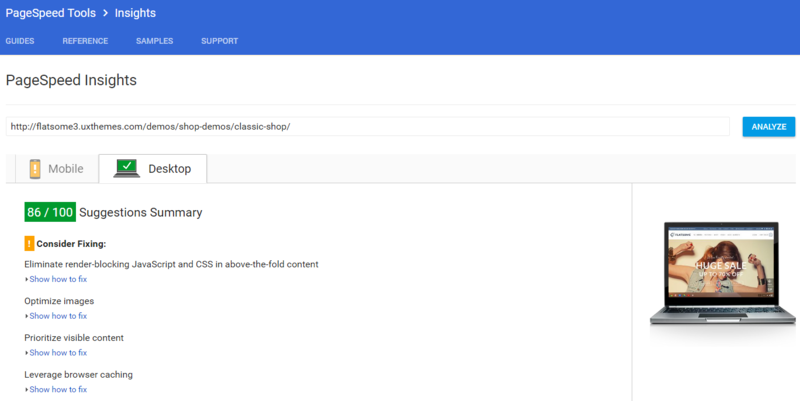 Flatsome comes with an extensive plugin compatibility and a custom page builder designed to make your shop building experience as easy as a child’s play and enhance the aesthetics of the website. The Flatsome theme means a clean design, doubled by the responsive and retina ready nature of the template. The developers built Flatsome to focus your visitor’s attention on the shop itself regardless the device they use to access your website. You can show the site in a full width, boxed or framed layout to generate different visual perceptions. Besides, you can control the website’s size and enter the desired width in pixels. The theme has 20 pre-made homepages that give you a quick start with your e-shop. Flatsome has a custom-built system of activation. After uploading the theme, you must enter the purchase code to get access to some of the features. You can install the plugins and pre-defined pages from this welcome activation panel. The template helps you implement mega menus, sticky menus and give your customers the chance to review the products you’re selling. 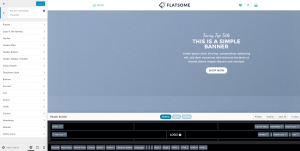 For a quick theme use, Flatsome has 19 page layouts available with the UX Builder ready to create a new page. You can add elements like grids, buttons, countdown block, gallery, maps, team members, videos, flip box, product categories and so on, using the drag and drop page builder functionality. And if you need to create a special presentation, Flatsome is ready to give you video formats for your posts. When you are taking a picture with a camera, you like the strong colors and the crisp images. The Flatsome’s developers have created the Banner Focus Point, a feature meant to aim attention at the essential picture parts when they are accessed using a small device. Also, the latest update brought some major visual improvements like an adaptive image functionality for a better speed & optimization and a built-in lazy loading effect. One of the appreciated controls in Flatsome are the Background Effects. You can set up an appealing background using media files or apply snow, confetti, sliding glass, sparkle or rain animation effects. This way, your eCommerce website will be ready for any season change. To style the above the fold, Flatsome has a front-end Header Builder with multiple possibilities of customization. From 10 pre-made designs, control buttons, fonts, navigation styles to cart, search, wishlist icons, you can show and customize everything on the header. The footer area is not neglected either. You can select a custom block customizable with the UX Page Builder as the footer. Also, you can adjust some of the templates with texts, columns, background colors or images. The sidebar area can be personalized with custom Flatsome blocks like Upsell Products, Recent Posts and specially designed WooCommerce widgets. You can also display a different sidebar for category and product pages. 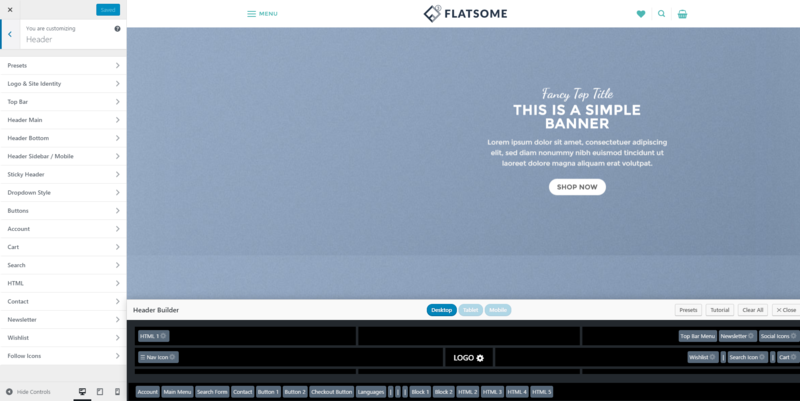 The Flatsome’s Theme Options panel is integrated with the live Customizer, and its structure is built to facilitate the buyer-seller relation. Flatsome comes with 8 product page templates and 12 product category layouts to choose from when you’re designing the content’s appearance. Also, WooCommerce plugin brings six block elements, ready to help you build a great product page. Some cool features allow your buyers to set up a wishlist and give product reviews. Whether it’s a grid, a slider or a parallax, it will catch the eye of your visitors and help you present your content in an innovative way. UX developers included various ways to display the cart in the header section and a custom check-out design. As time is precious, with the Live Search feature from Flatsome it is easier to find products, blog posts or pages right away. Flatsome provides Google typography, and it also supports RTL. This theme is compatible with the WPML, bbPress, BuddyPress and WooCommerce plugins. The Flatsome’s authors renewed the whole theme and made it even more flexible. All the new features are brought together in the Theme Options Customizer, to help the user with the creation process. All the Flatsome adjustments can be made from the frontend. The Customizer panel is structured in over ten subsections, which gather options for the header, layout, homepage, style, shop, pages, footer, share, and other elements. If you want to return to default settings, the Customizer has a Reset Options submenu. In the past, Flatsome allowed you to customize pages only from the backend. In this update, the developers have included the front-end drag and drop page composer – UX Builder, that uses a friendly system, based on Banners, Rows, and Columns. You can add elements and customize each of them from the front-end thanks to the specially designed functionality that ensures you don’t need code skills. Another new feature is the possibility to create sliders and image grids right from the page builder, with no need to install additional plugins. In addition, UX Themes enhanced the theme with a live Header Builder, so users can visualize this section while they customize it. This new page builder allows you to see in real-time how your site will look like on tablets, smartphones, and desktops. Other helpful tools are the undo and redo arrow buttons that give you more control over your pages and posts. The real power of this theme is revealed on e-shop functionality. To create a product page or a product category first, you must select the product type of your content, as they can be simple, grouped, affiliate or variable products. You can add text & media, prices, inventory, shipping, linked products, attributes, advanced and extra settings to describe the things you want to sell. Every product page can be edited using the UX Builder and the Flatsome shortcodes (Section/background, row/column, UX Slider, Banner, Elements, Shop). This theme offers multiple product options, and you’ll get inspired testing them on your shopping pages. We have tested the Flatsome default demo on different page speed tests, and the content is loaded with a very good page speed. It shows 86/100 on google page speed on the desktop. Flatsome comes with a few language translations in .po and .mo formats, but there is no built-in translation panel. The theme’s documentation doesn’t include any page screens and is less detailed than expected, but the video tutorials are helpful and up-to-date. Recently, the UX team took the Flatsome theme and redefined it with new and flexible features. The interface is now more intuitive, user-friendly and well optimized. Flatsome has a lot of control options, among which are the global side width, blog layouts, portfolio styles, payment options in footer area, blocks in header, custom maintenance page or the built-in live search. All the theme’s features make it worth it for every eCommerce website. Hi, I’m searching for a theme with a custom lightbox & many skins. Hello, Craig! I suggest you take a look on the menu at the Reviews section and choose the wanted theme category. Some of my recommendations: multi-purpose themes like Oshine, The7 or maybe you need a blog or news template like the Newspaper or SmartMag. I hope this helps! Query – Im confused b/w Flatsome & Shopkeeper themes, for an elegant fashion e-com website. I understand both are the best. I just want to know your expert opinion, that which will be more relevant to the fashion ecom website and WHY. Would appreciate you giving bit elaborate feedback please. Would really really help me! Thanks and big respect !! For me, the best theme for an eStore website must come with an Ad system implemented, and WooCommerce integration. 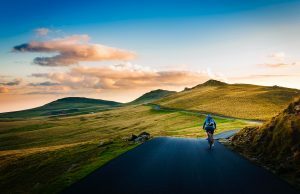 It is also important to be able to connect with all your visitors into a single place: a community place like a forum where everyone can ask and get a quick answer. I would vote for the theme with more custom tools developed specially for eCommerce websites. Also, an eShop that works seamlessly on all the browsers will help you with your business. Well, to find the specific differences you should check out our compare tool (only if you haven’t already check it) – https://www.wpion.com/review_compare/flatsome-wordpress-theme-review_vs_shopkeeper/. And by the way, a good host provider is important for your eShop success too. I hope you’ll find these useful. Good luck with your project! My ideal plan is to build a product and services review website and I am thinking of going with flatsome after the review. Thank you for finding our website useful! The Flatsome theme has a built-in customer and user review system. For other plugins compatibilities, please contact the authors directly :). Hi! Thanks. We are doing our best to provide the most relevant information in order to help you take a decision and choose the WordPress theme that best suits your website. Flatsome is pretty awesome. I bought it and am definitely satisfied with the level of control it gave me. It does add a bit of weight to the website compared to Storefront which is paperthin, but its not too crazy. Its within reasonable parameters. Caveat is the mobile site is not 100% IMO. They need to work on mobile responsive behavior, optimization, performance, a little more. 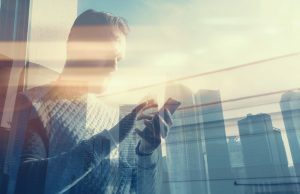 Look at the orange “!” mark in pagespeed insights in this article. Hi, Arthur! Thank you for taking the time and tell our readers your experience using the Flatsome theme :). Have a great day! 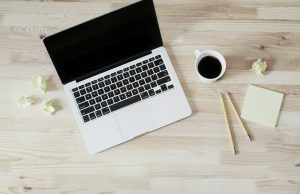 Thank You for this great article, I love Flatsome, it is one of the best themes you can use for an eCommerce WordPress website. Hi Willhelm, thank you for your honest feedback! We’re glad you’ve liked the article :).